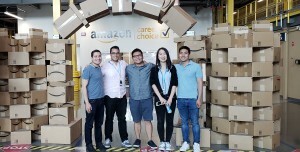 This summer I interned as a senior product manager on the Amazon Devices team. My summer project was to launch a new product feature for Amazon Dash Buttons. I had the opportunity to fully own the product launch, which included the financial modeling, marketing research, operations, and customer experience. This experience was a ton of fun. 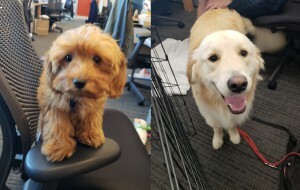 I learned a lot and got a taste of what it’s like to be a product manager. After taking some time to reflect on my summer, I came up with five pieces of advice for those planning to intern at Amazon and/or interested in a career in product management. Amazon’s culture is defined through the 14 Leadership Principles, so I’ve mapped each piece of advice to a leadership principle. No one has solved your specific project before. You’ll be given a lot of responsibility and you’ll need to learn fast. You own the success of your project and will need to ask the right questions to get the information you need. I spoke with 84 different people at Amazon to be sure I thoroughly understood the problem I was given. Cookies were a huge hit during user research. Don’t be afraid to get your hands dirty and design a prototype. A design-focused mindset is crucial for any product manager. I performed a 54-person user research test with prototypes that used old devices and paper to simulate an unboxing experience for the customer. I didn’t have budget to go externally, but was able to negotiate for budget for gift cards and cookies to entice employees to participate. Amazon uses a narrative-based approach to presentation, where your idea is fully captured within a six-page document and–surprise!–it shouldn’t be an unfinished document at your midpoint review. A product manager’s document is typically called a “Press Release and Frequently Asked Questions,” or PRFAQ. The approach to writing this document is called “working backwards,” meaning you start with the customer and work backwards to solve the customer challenge. (Check out this Medium article for more information on working backwards and PRFAQs.) You should aim to have your PRFAQ as close to final as possible at the halfway point. It can be difficult to get your document in front of people for review. Find a support team that can give you feedback, such as alumni, fellow interns, or friends. One of my goals this summer was to write as concisely as possible. My mantra became, “Clarity of Writing = Clarity of Thought.” Remember to review, review, review! When you get feedback, listen. Most people want you to be better and improve. But don’t wait to get this feedback—seek input from people earlier, rather than later. Smart Home Intern Team 2018! Take time to enjoy Seattle and the Pacific Northwest! Make sure to meet your fellow interns and enjoy a few happy hours. Your team has a ton of experience that you can leverage to finish your project. Without the analytical skillset I acquired during my first year at Simon, I wouldn’t have been able to solve this ambiguous project, which ultimately resulted in an offer to join Amazon full-time as a senior product manager. Thank you to those who supported me this summer: the Simon Admissions Office, Simon’s Career Management Center, my Simon Class of 2019 classmates–particularly those who would meet on their own time to talk all things product management–and my family and friends. I wouldn’t have had a successful internship without your help! These poor guys barely made it to the finish line.